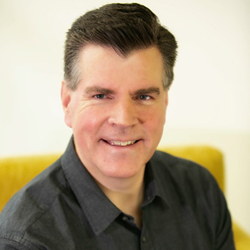 ObservePoint hires Harold Madsen as the new VP of Engineering who will be heavily involved in the creation, delivery, and maintenance of the ObservePoint product. Harold was interviewed by the executive team, the board, and many in the engineering team before being selected. While numerous candidates were interviewed, he quickly emerged as the right one for the job. ObservePoint, the premier provider of automated data governance, tag auditing and GDPR compliance solutions is pleased to announce their new VP of Engineering Harold Madsen. Harold brings more than 20 years experience to his new position with ObservePoint, having previously led the development and engineering teams and projects at Novell, ApexConnex, Collabratus, and, most recently, Ancestry.com where he managed the building of several of Ancestry’s core offerings for more than nine years. “Harold was interviewed by the executive team, the board, and many in the engineering team before being selected. While numerous candidates were interviewed, he quickly emerged as the right one for the job and I’m very excited about him joining the team, ” said Rob Seolas, CEO of ObservePoint. Madsen will assume responsibility for the creation, delivery, and maintenance of the ObservePoint product. Madsen will work closely with ObservePoint’s product, engineering, QA, operations and executive teams to ensure that all the ObservePoint trains run on time and as efficiently as possible. Madsen brings the expertise and track-record of a successful leader, along with the hands-on business experience of a seasoned engineering executive. His strong combination of technical skills, past experience, and Leader-Leader management style promises to be an important addition to the ObservePoint team. ObservePoint empowers data-informed companies to trust their data and better serve their customers through the application of best practices in web tag auditing. Founded in 2007 by John Pestana and Rob Seolas, ObservePoint pioneered automated web and app analytics auditing. ObservePoint’s patented WebAssurance™ and AppAssurance™ technologies audit millions of pages and mobile apps every month to report data loss, inflation and leakage to web analytics managers and stakeholders of the world’s leading enterprise companies. ObservePoint’s Data Quality Assurance solution ensures that customer data is accurately collected, utilized, and safeguarded, giving your organization the confidence to make better decisions based on better data. For more information visit http://www.observepoint.com. Follow ObservePoint on Twitter, LinkedIn, and Facebook.